A structural fire can cause absolute devastation for a business in terms of both loss of life and property damage. Protect the people and property that you care about with a life-saving fire alarm system from A Total Solution, Inc.
At ATS, we understand that nothing is more important to a business than the safety of its people and the assets on the property. Our fire alarm systems and services provide our clients with a peace of mind so that they can rest assured knowing that their business is protected. Our highly skilled and extensively trained technicians have been providing commercial fire alarm services for an average of 10 years. Whether you are constructing a new building or converting an older one, the experts at ATS design each and every fire alarm system for longevity and value. Should your older system require maintenance or updating, we will work with you to retrofit and bring your system up to date instead of trying to force you into a brand new system, thus saving you time and money. A proud provider of highly regarded systems, such as Edwards, United Technologies, and Vigilant, our goal is to provide our clients with the best code-compliant system available for their unique needs. 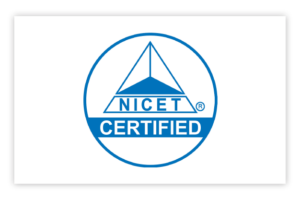 Each and every technician at A Total Solution, Inc. is NICET-certified and extensively trained in all legal fire code requirements. Our customers know they can think of our team as their reliable partners for all aspects of fire protection. We make a long-term commitment to our clients to ensure that their fire alarm system needs are always taken care of. Should our inspectors find any problems with your system, we will work with you to find the most cost-effective and safest solution possible. Instead of forcing our clients into expensive new systems when they are not entirely necessary, our technicians work with our clients to bring existing systems up to code and up to date. This gives clients the ability to know that they have a safe environment without breaking the bank. ATS utilizes the latest technology to monitor your fire alarm system at all times. Our contracted central station is UL Listed and has the capability to configure dialers utilizing copper phone lines, cellular communications, or the Internet to insure redundant signal transmissions. 24 hours a day, 365 days a year, ATS technicians are equipped and ready to service your fire alarm system. ATS’s employees are NICET, FASA/BASA, and factory certified to handle most fire alarm system trouble and alarm conditions. For more information on our fire alarm system services, please contact A Total Solution, Inc. today.